Are you a property manager looking to hire a cleaning company for your rental properties? Do you own annual rentals in Brookline Village and require reliable cleaning services for your new tenants? You just found the best cleaning company in Brookline Village, Massachusetts for the job! Since 2002, delivering quality, efficient and reliable cleaning services to homeowners and landlords as well as property management has been a top priority for Val's Cleaning. Rest assured that your rental property in Brookline Village will always be in trusted, caring hands when you hire Val's Cleaning. Do you need your seasonal rental in Brookline Village cleaned and ready to welcome your incoming guests? When your guests arrive at their vacation rental property, one of their biggest expectations is that the property has been thoroughly cleaned and sanitized. Finding dirt, dust, unmade beds or dirty bathrooms will be a great disappointment after the money they have invested in taking this vacation, and time it took them to finally arrive and begin their vacation. Want to guarantee your renters' vacations will start off on the right foot? Hire Val's Cleaning: the Brookline Village rental property cleaners that have been trusted to get the job done right since 2002. With us, you can rest assured that your rental is a breath of fresh air for your incoming guests, and will keep them coming back! Call (781) 399-4009 for a free quote to clean your vacation rental property in Brookline Village, MA. A change in residence is an exciting opportunity for a fresh start, though it also tends to be a bit stressful and time-consuming. 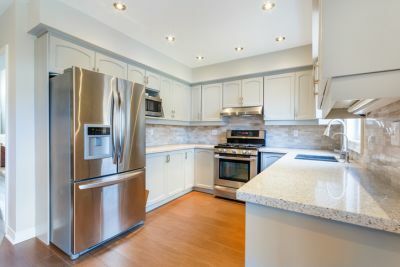 Finding a local cleaning company you can trust to clean Brookline Village annual rental properties for new tenants is imperative for the success of the investment property. Imagine if your tenants turn the key to their new annual rental only to find their new home-sweet-home is not move-in ready? Your tenants deserve to arrive at a welcoming residence that looks and smells fresh and clean. You expect your tenants to be fully satisfied when they move into their new space. Look no further than Val's Cleaning to be that rental cleaning company for you! We have been cleaning Brookline Village annual rental properties since 2002 with reliable, caring hands, and a detail-oriented approach. We look forward to the opportunity to provide exemplary cleaning services for your rental property in Brookline Village. Stop the search for a rental property cleaner in Brookline Village, Massachusetts. Val's Cleaning looks forward to treating your rental property with the utmost care and respect! Call (781) 399-4009 for a free quote.